Andhra Pradesh has been established as per the discretion of Motor act of 1988. It serves multiple purpose. Major motive of its foundation is to issue a driving license, vehicle registration & tax collection. Another advantage of Road transportation of Andhra Pradesh is issuing No Objection Certificates (NOC). Furthermore, it also helps in controlling the pollution. The commissioner of transport governs the operations of Andhra Pradesh RTO. They play signification role in ensuring road safety and traffic rules and regulations. Andhra Pradesh RTO is also responsible for implementation of an ordinance by Motor Act. Besides that, they are also responsible for the issuance of fitness and road permits to the vehicles. 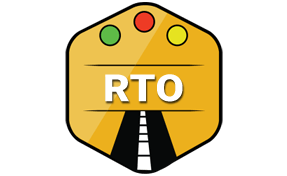 RTO offices are established across different cities of the state of Andhra Pradesh. They help in the quick delivery of driving licenses after the required documentation. At the same time, it also provides vehicle registration along with NOC. Road transport offices are given unique codes for every city for smooth operations. Different codes as per cities are tabulated below. Andhra Pradesh RTO performs multiple roles. For any change in our vehicle details, we need to submit the required documents. The process is quite stringent as it's as per the law. Some of the common forms required for different changes are shown below. *These forms are issued as per the applicable law. Along with the above forms we also need others documents as applicable. List of some of the common documents is as follows. FIR copy for stolen Vehicles. For any further assistance, we can always visit RTO office or contact them on their numbers. Address and contact detail of Andhra Pradesh RTO is as follows. Deputy Commissioner -Andhra Pradesh Transport, The RTO (Regional Transport Officer), BV Nagar Main Rd, Veday Palam, Nellore, Andhra Pradesh 524004.